Fill out the form with any questions or inquiries you have for the sales consultants at Desert Oasis . You can also call or chat with us for immediate responses. Closed 12/25/18 and 1/1/19. Open 12/24/18 from 10am - 3pm and 12/31/18 from 10am - 5pm. 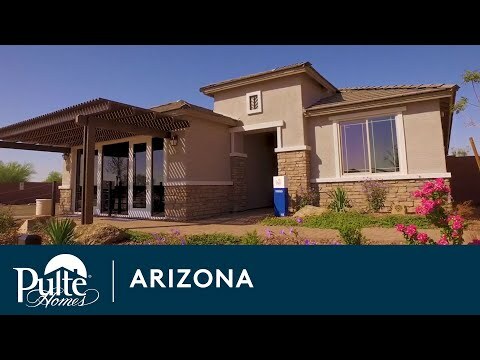 Located in Surprise, Desert Oasis offers single-story and two-story consumer-inspired new construction homes for sale. Our collection of quality new homes feature open floor plans with thoughtful spaces designed for your everyday living, with no wasted space. At Desert Oasis you can enjoy the year-round sunshine, breathtaking views and a lifetime of new memories. The life you want to live is waiting for you at Desert Oasis . Explore this community and see for yourself. The Potenza offers a modern kitchen design with a spacious walk-in pantry. Also with optional kitchen island upgrade, perfect for entertaining guests. The Cosenza features a charming café, private bedroom living space, a den, and open gathering room with a modern kitchen design. The single-story Barletta floor plan features an open kitchen overlooking the gathering room and café. The Cantania’s inviting single story home design encourages family interaction with a gathering room and multipurpose flex room. The versatile Ridge offers open gathering spaces, up to 4 bedrooms, plus a second-floor walk-in laundry room. The versatile and inviting Prato features a bright and open gathering room, an expansive loft, and up to 5 bedrooms.